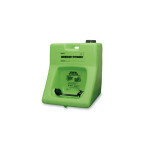 Built-in alarm system that sounds when the unit has been activated and again when the injured individual has completed the required 15-minute flush. Highly portable and easily moved when work stations move. 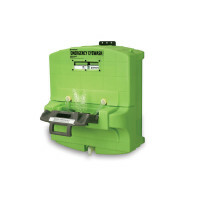 Sterile saline solution adheres to FDA requirements for providing sterile eyewash solution in self-contained emergency eyewash stations. Sperian Eye & Face Protection, Inc., warrants that Sperian; Eye & Face, Inc. 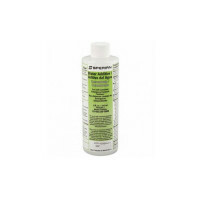 Emergency Eyewash products are free of defects in material and workmanship for one (1) year from the date of shipment under the following conditions: 1. This limited warranty is effective only if the Sperian Eye & Face Protection, Inc. product is installed, maintained and used for the purpose intended and in accordance with the Sperian Eye & Face Protection, Inc. 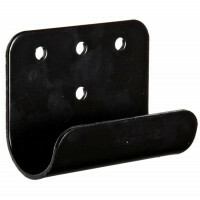 Installation and Operation Manual. 2. Sperian Eye & Face Protection, Inc.'s only obligation under this limited warranty shall be the repair or replacement, without charge, of any products or components, which upon inspection by Sperian Eye & Face Protection, Inc., are determined to be defective in materials or workmanship. 3. This limited warranty does not cover any damage, loss or expense due to damage caused by accident, abuse, improper installation, or improper maintenance. 4. 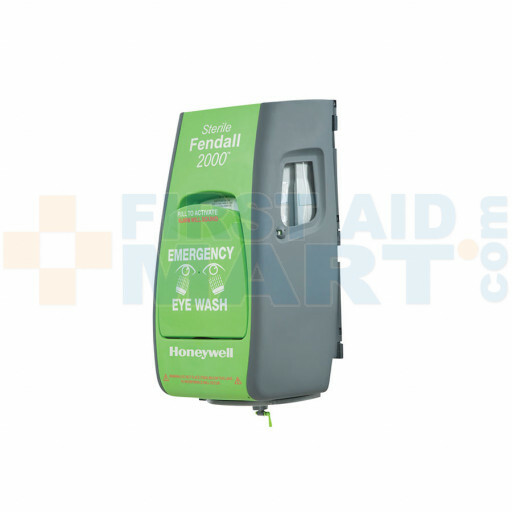 No warranty is provided if any portion of the product covered by this limited warranty is altered or modified without the express written consent of Sperian Eye & Face Protection, Inc.
Fendall 2000 Eyewash Station - 32-002000-0000.